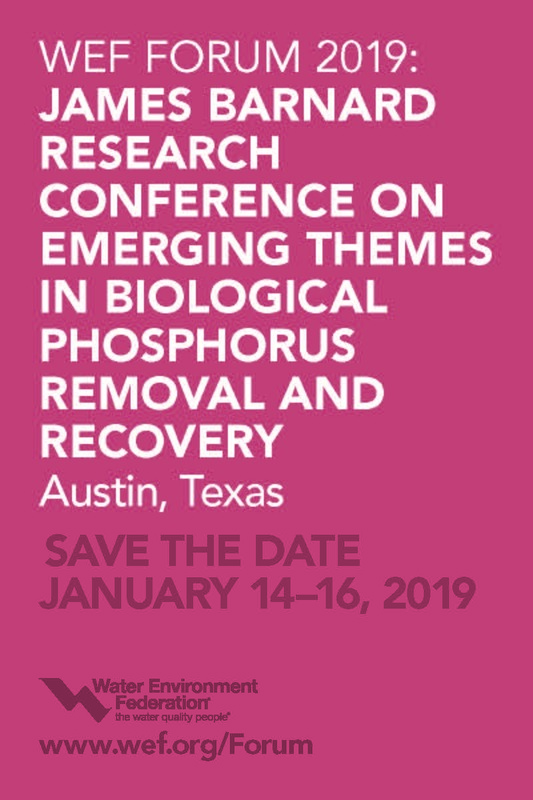 In January, the Water Environment Federation (WEF; Alexandria, Va.) will host the James Barnard Research Conference on Emerging Themes in Biological Phosphorus Removal and Recovery. Join other water professionals to discuss and collaborate on current phosphorus management and treatment issues. Attendees will help identify future research and planning needs. See the technical program (PDF download) for more details. WEF will host the forum in cooperation with The Water Research Foundation (Denver) and the University of Texas at Austin. Registration will be on a first-come, first-served basis for 175 participants.